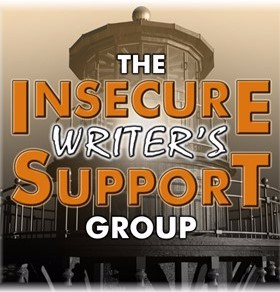 It’s the first Wednesday of the Month which means it’s officially Insecure Writers Support Group Day. Thank you, Alex J Cavanaugh, and thank you our Rocking co-hosts for the March 7 posting of the IWSG: Mary Aalgaard, Bish Denham, Jennifer Hawes, Diane Burton, and Gwen Gardner. “Until you cross the bridge of your insecurities, you can’t begin to explore your possibilities.” – Tim Fargo. Fargo has written some business books which I’m fairly sure I will never purchase or read. I do love this quote and little things like that can inspire me when I begin to feel like throwing all my writing out of the window like Harper Lee did with her manuscript for “To Kill a Mocking Bird” except without the snow. While I was browsing through the quotes, I recognized many of the names to which the quotes were attributed. There was another quote I want to share. The quote and the name sounded familiar and I realized she is the author of “Writing Down the Bone: Freeing the Writer Within.” This book was published in 1986 and I read it when I was writing my first novel and really enjoyed it. I looked at the quote and thought that was a tall order. I use my emotional experiences as a source to draw on when writing fiction. Several days later I found myself writing a poem about my very deepest pain. I’m not a poet. I haven’t written a poem, or rather I haven’t tried to write a poem since I was in junior high. That was a long time ago. I think there were still dinosaurs roaming the Earth at that time. I poured so much of myself and my pain into that poem, but I used a lot of symbolism. I still can’t believe I did this, but I entered the poem in a poetry contest. The only person who came close to understanding what the poem was about was the person judging the contest. It wasn’t a free verse poem but it didn’t really follow any of the standard forms of metered quatrains. The judge wrote that she could feel all the emotion in my poem. I crossed the bridge and I explored my possibilities. I also feel like I allowed myself to be split open. I exposed myself even though it was in an allusive manner. I cried a bucket of tears. I crossed another bridge. I achieved exploring another possibility. If you would like to read more blog posts from the IWSG, you can find links to their posts at the bottom of the page after clicking this link. Congratulations on your contest win. Yeah, it is fun to try something new, writing-wise. It’s also good cross-training for our preferred genres. Thank you! If I hadn’t been sitting, I would have fallen over! I’ve always liked the cross training idea. Stretching your wings is great exercise for creativity. Thanks for reading my post and commenting! I’ll be catching up on reading blog posts this evening! When I started writing, I was weary of going to the dark places of my psyche. I was content with staying on the surface. But I wasn’t feeling satisfied with what I was writing. I wanted to delve deeper. I wanted to write stories that were “adult” in nature. The only way I could do that was to challenge myself. Force myself to go beyond the surface. Create characters that were emotionally scarred. I’m still working on that process. It’s not easy exploring the dark side of your mind. But, as Goldberg says, that’s what we need to do. We need to write what scares us and be willing to be split open. Yes! In my 20’s it didn’t sound as frightening but we collect “battle scars” along the way and it sounded much scarier at my age. It;s so much easier said than done. Thanks for reading and commenting on my post. I’m going to have to do my reading tonight! Thank you for the lovely thoughts!and for reading and commenting on my post. I was really shocked that my poem was even noticed. I ordered another copy of that book LOL. She’s written 14 more but I think that was probably the best! I haven’t been around much lately. 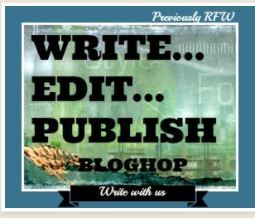 I’ll have to drop by your blog this evening! I always enjoy it. Congratulations on your third place finish. I know you’re smiling and you deserve to. Shocked and smiling! Thank you. I guess writing what disturbs you is really an extension of the old standby, “Write what you know” but so much further and probably results in even more powerful writing. It is definitely something to think about. Thanks for sharing! Thank you for reading and commenting on my post! I appreciate your time. Oh wow, splitting open on purpose is scary. Even not on purpose is scary. Good for you! And congratulations! Yeas, I thought so too. I still think that. It happened subconsciously after reading that quote multiple times. Thank you for the congratulations. I sincerely appreciate you taking the time to read my post. Thanks. Liz, I will sign up, because all writers are insecure, but at this time, I have a daughter who is very ill and will be having surgery next week and I will be taking care of her. So my time for a while will be scarce for writing something weekly or by weekly. I’m so sorry to hear about your daughter. I will be thinking of the 2 of you and keeping you in my heart. Family always takes priority in my philosophy. Knowing what it is to have a mother’s heart, it’s not about choice anyway. All my best. Remember to take of yourself too so you can be there for here, I wish you both well.